It’s been many months since I did my first long distance cycle. It wasn’t that long, only 1000 miles, but it was undertaken on a bicycle that cost only £30. I miss those days of cycling all day and sleeping outside at night. After moving temporarily to South Korea, my only recent bike ride has been on a day when I rented a bicycle in Gyeongju during my Daegu return visit. 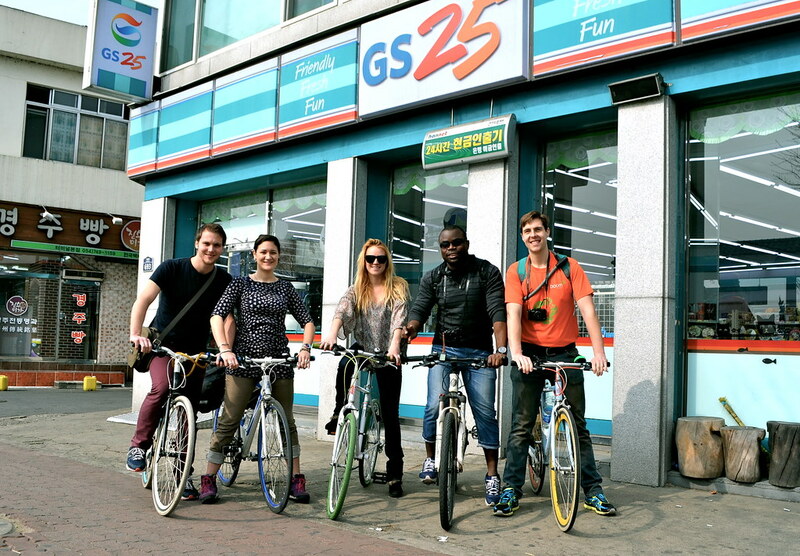 Gyeongju is my favourite town in Korea and riding around on a bicycle is a great way to see it. Due to visa restrictions, I must leave Korea in a few days. I have been debating between leaving for China, Japan, Philippines, or somewhere else around Asia. I decided against China as it would involve obtaining a visa and finally decided against Philippines or elsewhere because it would involve flying and I don’t really like flying, even though I know how safe it is. Yesterday, I got my hands on a brand new (second-hand) touring bike. It was significantly more expensive than my last bicycle (it cost a whopping £67 as opposed to £30), but it rides like a dream compared to what I am used to. It even has a nice seat! On this bicycle, I will cycle to the ferry in Jeju, then from Mokpo to Busan. This is a journey of little over 200 miles and I will then do a little bit of cycling in Japan. I’m excited to be back on the road, back on a bicycle, sleeping under the stars. 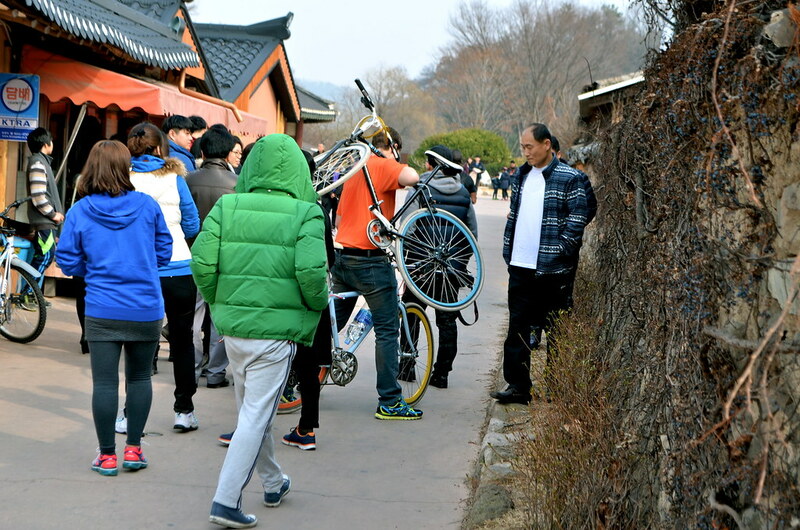 No doubt the bicycle will go wrong at some point: even when I rented a bicycle for the day in Gyeongju, it went wrong and had to be carried back to the bike shop. However, I’ll have to learn to fix it, then carry on. Bring on Japan! I have to leave my flat in 2 months. So I decided that, instead of throwing myself back into the unmitigated horror of the private rental market, instead I am going to buy a bike and some camping gear and set off exploring the British Isles before, at some point, making my way over to Europe and seeing how far I can get. Your blog has been a great inspiration to me – and while I am still wondering whether I can actually do this (I’m about as anxiety-ridden as you were prior to setting out for the first time! ), your success gives me hope. Oh, and I just bought your book on Kindle so I’ll have something to read when I’m hiding from the elements under my tarp! I have been looking into how to build a tarp shelter incorporating a bike, and there seem to be a few different ways of doing it – I figured it might help the bike to last longer if it stays dry (plus it’ll be a bit more secure). Vince, that sounds like a great adventure. Best of luck to you and I would love to hear how you get on. The shelter might help the bike last, but don’t worry if you can’t make one – I have had a bike for the past seven years that has stood in the garden at my parents’ house 365 days a year, and it still rides just fine whenever I come back. I’m not a bike snob though, so others might disagree. I hope you enjoy the book. Really looking forward to reading your trip. Have just finished 5 months in India off to cycle sea to sea in uk. Interested in Japan could you blog costs. That sounds like a truly wonderful experience. I was only in Japan for two nights and I slept at a friend’s house, so I can’t give accurate costs, sorry. Cool! Few weeks ago we finished 5 months of cycling all over India. Two bicycles we used were 6 years old 100 euro bicycles, one brand new 70 euro bike from SportsDirect 🙂 No problem! A perfect example of how cycling doesn’t need to be elitist, I love it. If you abandon the bike again somewhere I will go looking for it…on purpose this time! I love cycling and I am impressed how cheap your bike was. Me and Cez cycled the full length of Vietnam in less than two months. In this way we were able to see off the beaten paths, meet locals and experience authentic cuisine and culture of the country. That’s an awesome adventure. Cycling really is a great way to learn more about a place and its people rather than speeding by in motorised transport.